HillJillys: Women. Bikes. Fun: HillJillys: What to do this weekend? HillJillys: What to do this weekend? 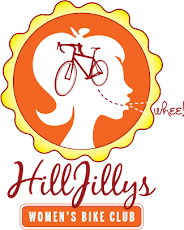 Our handy-dandy calendar tells us it's time for a HillJillys MTB ride on Saturday morning... but, since we haven't yet figured out how to be in multiple places at once, this weekend's agenda is a bit different. Most of our fearless HillJillys MTB ride leaders will be testing their mettle up in Cobb at Boggs IV 8-hour on Saturday, and if you wanna soak up the atmosphere at one of the best races around, c'mon up to spectate. There's a great raffle with all sorts of swag, and all food & beer sales benefit the Sonoma County Trails Council. MTB: Kristy will be leading an early afternoon HillJillys-friendly ride in China Camp. This one is not women-only, but she swears that the guys she invited are relaxed and easy-going. Meet at 12:30pm on Saturday at the Back Ranch Meadows Entrance guard shack. Road: Mariko at Echelon Cycle leads a women's road ride early on most Saturday mornings, rolling out from their parking lot at 8:30am (show up a little early if you need any supplies from the shop). Average pace is a bit faster than most HillJillys rides, but it does regroup at the top of every climb—anticipate some West County hills. Service: The Sonoma County Bicycle Coalition is moving offices this weekend, they're doing it by bike, and they need help. Details: Saturday, 10am-4pm & Sunday, 11am-'til it's done (that is, if they don't finish up on Saturday). They'll be making trips back & forth between 655 First Street in downtown Santa Rosa to 750 Mendocino Ave (just north of college near the JC). It's about a mile each way—so, pretty darn close. They'll provide bagels and coffee in the morning, lunch around 12:30, and beer. You bring your bike (and bike trailer/cargo bike, if you have it), bungee cords/rope, layered clothing, and a water bottle. Many hands make light work! If none of these options appeal, don't let that stop you. Find a friend or head out on your own—ring in spring on your bike!